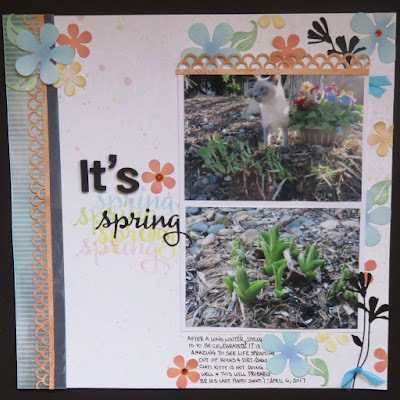 Blog Quick Quotes: It's Spring with June! Hello and welcome! It's June here to host the blog today. I have a bright and fun layout for you today! I used Quick Quotes Anchors Aweigh paper collection, and even though this collection is sea-themed, it was easy to adapt it into a spring theme using flower punches! Designer Tip: You can adapt most themed papers into something else by using punches. You are not limited to just flowers, you can use hearts, stars, clouds, etc. You can also use diecuts or an electronic cutting machine (such as a Cricut) instead of punches, too. You know how much I love my PowderPuff Chalking Inks, and I couldn't resist using them all over this page. 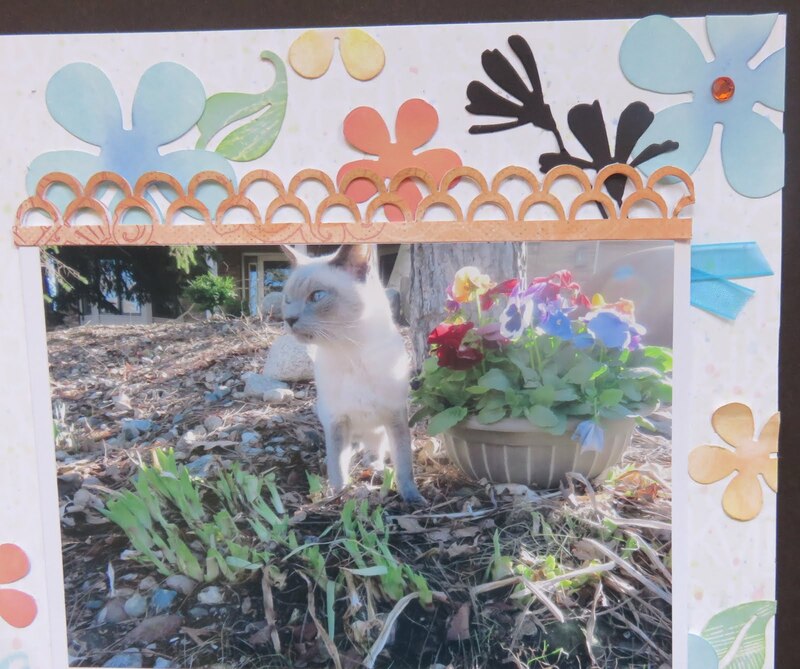 After punching out the borders, flowers and leaves, I edge them with Rose Petal, Limeade, Buttercup and Sky Blue PowderPuff Chalk Inks and a blending tool. 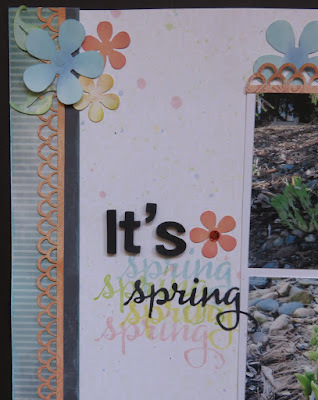 I then used the same colors to add splatters to the background and to stamp "spring" for a colorful title. 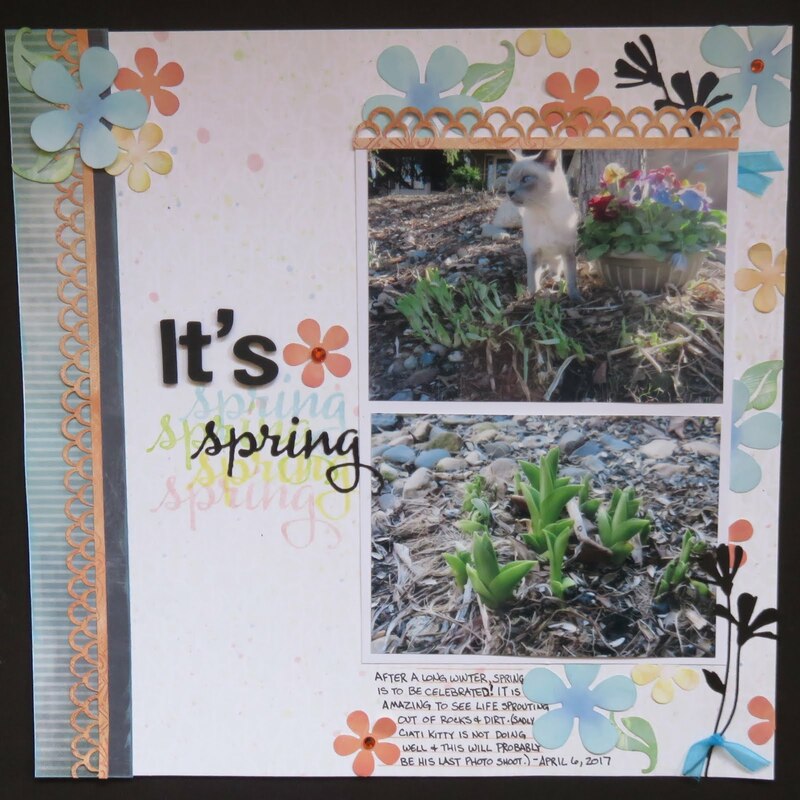 I was inspired by Alicia's fun Flower Challenge for April here at Quick Quotes. If you would like to join in follow the link here.